Engineered for drivers who like to play hard. Official HSV merchandise and apparel. An exclusive tour of our facility plus Q&A session. Our way of staying in touch and keeping all of your contact details up to date. Determine the authenticity of your vehicle. Take a look at an HSV Owners club in your Region. The HSV Avalanche set a totally new benchmark for the performance all-wheel drive wagon segment but for some people even its extraordinary specifications aren’t enough. Sure, they revel in the awesome HSV-enhanced engine performance and superb handling, they enjoy the high level of standard luxury appointments and they count the traction of all-wheel drive as a must but, when it comes to cargo carrying, only a ute-back will do. The release of HSV’s Avalanche XUV (X-treme Utility Vehicle) not only expands the company’s burgeoning portfolio of models incorporating advanced all-wheel drive technology, it also delivers that technology in a vehicle offering a more rugged load area that’s totally separated from the passenger compartment. Utility style vehicles are a perennial favourite in Australia – the strong sales of HSV’s own Maloo gives an excellent indication – but XUV adds another dimension by incorporating four doors, five seats and AWD capabilities, all underpinned by HSV’s performance vehicle philosophy. Indeed, given its wide-ranging talents and car-based design, as opposed to commercial vehicle derivatives, it’s difficult to come up with any direct competitors – a familiar scenario with many HSV models! XUV is certain to appeal to a broad cross-section of customers in search of a uniquely sporting driving experience in a vehicle layout that also fits perfectly with their chosen lifestyle. 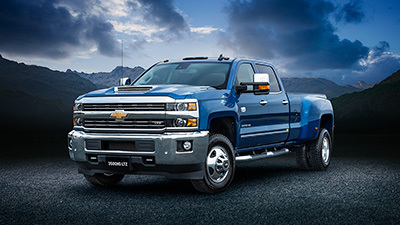 A good example can be found in tradesmen and primary producers looking for a vehicle that performs equally well in both work and leisure situations. Indeed, the XUV could well be the ultimate ‘image’ vehicle to promote a business or lifestyle. Boat owners in particular will see plenty of advantages. With the power and all-wheel drive traction of an XUV they can tow, launch and retrieve their boat with ease while the separate utility area gives them a convenient place to stow wet equipment, etc. and whenever they’re behind the wheel they get to enjoy the traditional HSV driving excitement. For lovers of extreme sports (jet skis, dirt bikes, mountain bikes, etc), the XUV is the ideal vehicle to get them, their mates and their equipment into the remote locations they covet. In short, XUV makes the perfect accompaniment to ‘boy’s toys’. Overall styling is individual and aggressive with strong off-road overtones. 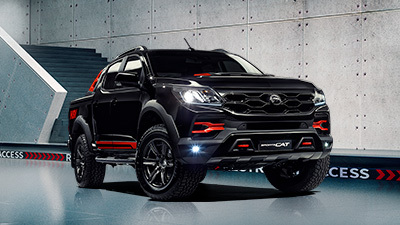 In that respect it shares design elements with the ruggedly sophisticated Avalanche wagon, including the 18-inch alloy wheel design. “I think with this style of vehicle the tougher and more robust it looks the more accepted it becomes”, says HSV’s new Head of Design, Julian Quincey, the man responsible for the styling of both XUV and Avalanche. XUV is available in a wide range of exterior colours, including Phantom Black, Turbine Grey, Heron White and three HSV exclusive colours, HSV Racing Green, HSV Ultra Violet 2 and HSV Sting Red. XUV’s cargo tray measures 1463mm long by 1438mm wide and a lockable hard tonneau cover is optional. Maximum towing capacity is 2100 kg when fitted with the appropriate towing package. Inside the cabin there is seating for five and, as with Avalanche wagon, the emphasis is very much on luxury appointments and traditional HSV sporting highlights. Plush leather upholstery is standard – available in a choice of Anthracite, Red Hot and Ochre – as are HSV Sports Seats with four-way power adjustment for the driver’s and two-way power adjustment for front passenger. The cabin environment can be adjusted via climate control air-conditioning and in-car entertainment is taken care of with a Blaupunkt audio system complete with in-dash six-disc CD changer. HSV’s unique instruments and steering wheel are joined by alloy pedals and a centre mounted sports binnacle. A full complement of front and side airbags are standard, as are whiplash reducing Active Front Head Restraints. Under the skin XUV shares much of its proven mechanical hardware with its Avalanche wagon sibling. Up front is the familiar HSV enhanced 5.7litre LS1 V8 generating 270kW @ 5700rpm and 475Nm @ 4000rpm – impressive figures previously unheard of in this style of vehicle. With an estimated 0 to 100kph acceleration time of just 6.5 seconds and a standing 400 metre time of 14.6 seconds the XUV is the undisputed number one in the crewcab performance stakes. The engine drives through a 4L65E automatic transmission to all four wheels via the critically acclaimed Cross Trac all-wheel drive system which has been calibrated to suit Australian driving conditions. It’s a combination that makes for an effortless towing vehicle with awesome traction on virtually any road surface and is perfect for devouring long distances in comfort. In contrast to most commercial vehicle derived competitors, XUV boasts first class braking capabilities – a particularly important factor when towing heavy boats, etc. The HSV Performance Braking System comprises AP Racing ventilated and grooved 336mm front discs, with HSV embossed twin piston front callipers in HRT Red, and 315mm ventilated and grooved rear rotors. Like all HSV’s, XUV is a driver’s car first and foremost. 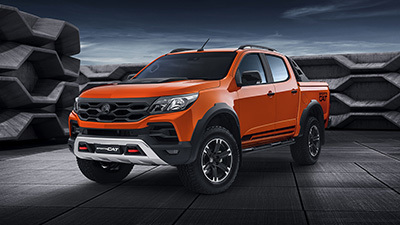 The strut front suspension is shared with Avalanche wagon, as are the specifically developed 245x45 R18 Bridgestone S-O3 directional tyres that are unique in construction and size and form part of the excellent on-road handling package. What’s more, they provide very impressive grip in most off road conditions and offer a higher resistance to punctures through a stiffer, more robust sidewall design. XUV buyers can choose from a list of appealing options, including Xenon High Intensity Discharge (HID) driving lights, the new HSV Tyre Pressure Monitoring (TPM) system, an HSV glass panel sunroof, an HSV embossed cargo liner and HSV unique XUV hard tonneau cover. The launch of XUV reinforces HSV’s status as the ‘coolest’ of the niche car makers amongst young buyers. 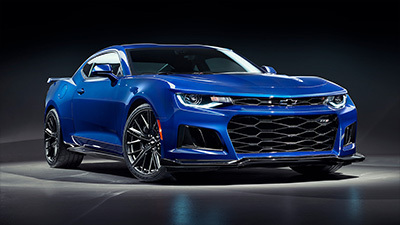 Roy Morgan data indicates that an astounding 70% of people who aspire to own an HSV or have one on their shopping list, are under the age of thirty. XUV will be available from mid March. Pricing is yet to be confirmed but is expected to be in the high $60K region. 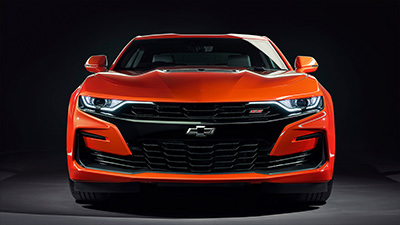 HSV today announced that Chevrolet’s most powerful performance production Camaro – the ZL1 – would be added to its 2019 model line-up. 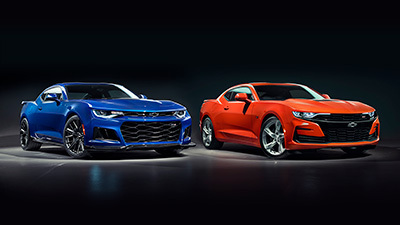 HSV today announced a host of upgrades to its high-performance Chevrolet Camaro 2SS coupe. Put yourself in the driver's seat and subscribe to HSV for all the latest offers, vehicle launches and company news.